It’s funny how, until we move away, we don’t fully appreciate those things that we have come to know and love from our childhood homes. No, I’m not talking about mom taking care of your laundry or dad making sure the oil is changed in your car, I’m talking about those things we take for granted…like butter tarts. Yes, those simple little gooey, buttery gems in a flaky crust that play a part in most holiday celebrations in…Canada! There, I said it. These toothsome delights are only available in the Great White North. Traveling back and forth between the U.S. and Canada as a child, I can remember certain treats that we would bring north with us because they weren’t available at home (Little Debbies were one of my favorites but.) Over the years, these products became available (like the Little Debbies) but others (Rotel tomatoes, how can you make queso without them!?) are not. I never thought about the things that we had at home that weren’t available to my American friends and family until I got older (seriously, how can a person live without the crunchy, cheesiness of a Hawkins Cheezie, (there is nothing else that comes close) and shopped for them myself. Friends of mine who used to live in Canada and are now stateside now ask us to bring them care packages from home when we visit, especially around the holidays, so I decided to share with you, on the fifth of 12 Days Blogmas, my five favorite Canadian Christmas Treats. 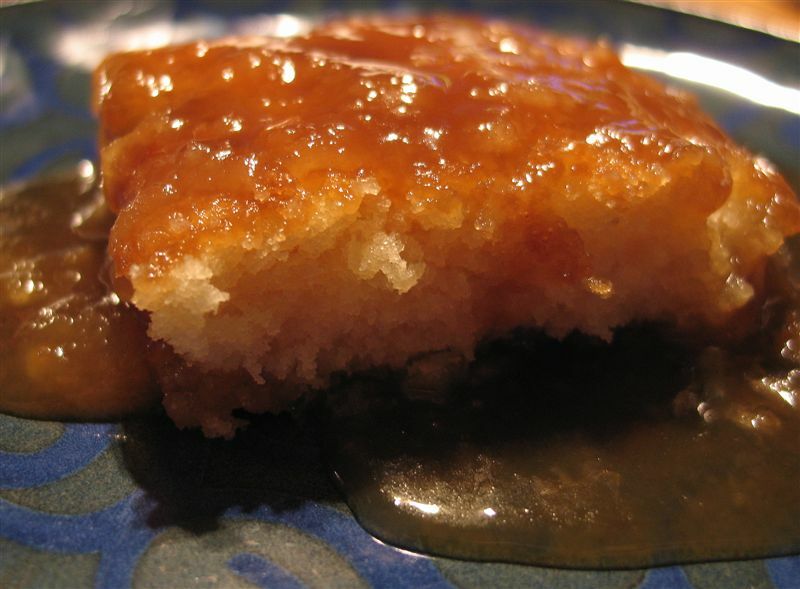 Butter Tarts – According to the Food Network, “There are a gazillion and one ways to make (and eat!) a butter tart but only one truly great place to enjoy them: in Canada the birthplace of this sweet satisfying treat.” Now my friends would argue that butter tarts taste just as sweet when eaten at their kitchen counter in Las Vegas but I think you get the idea. Nanaimo Bars – According to the City of Nanaimo, British Columbia, “This creamy, chocolatey treat’s origin is elusive, shrouded in mystery, and claimed by many as their own. 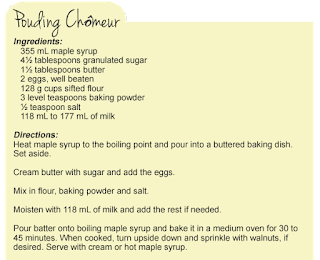 Of course, we know that Nanaimo Bars originated in Nanaimo, or they would be called New York Bars, or New Brunswick Bars.” Whatever they are called, I call their creamy layers of chocolate and custard topping a crunchy, nutty crust, delicious! 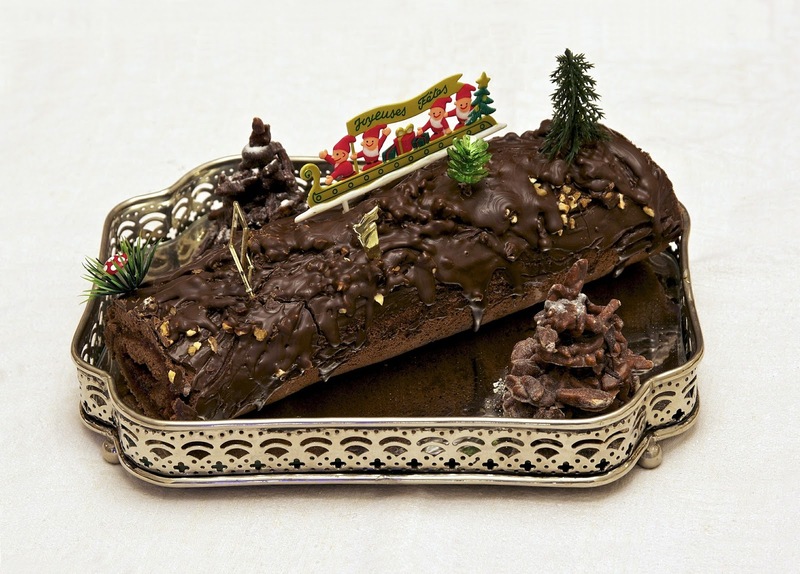 Buche de Noel – I’ve included this staple of our Christmas festivities because it is a traditional French-Canadian classic but Yule Logs are now available everywhere it seems. We even enjoyed tiny individual portions of this roulade cake filled with cream and decorated to look like a tree log on a Las Vegas buffet a few years ago. If you want to make one at home without having to worry about rolling the thin cakes, you can start off with a cream or jelly roll and then just do the decorating. I like to add some meringue mushrooms dusted with a bit of cocoa to add a woodsy look. Flapper Pie – This old-fashioned custard pie made with a graham cracker crust and topped with meringue was my first clue to regional foods. This dish, so popular in the prairies, was unknown to my friends from eastern Canada. It’s the perfect mix of sweet and light to finish off a heavy holiday meal. Alberta Milk has a simple recipe on their website if you’d like to give this a try at home. 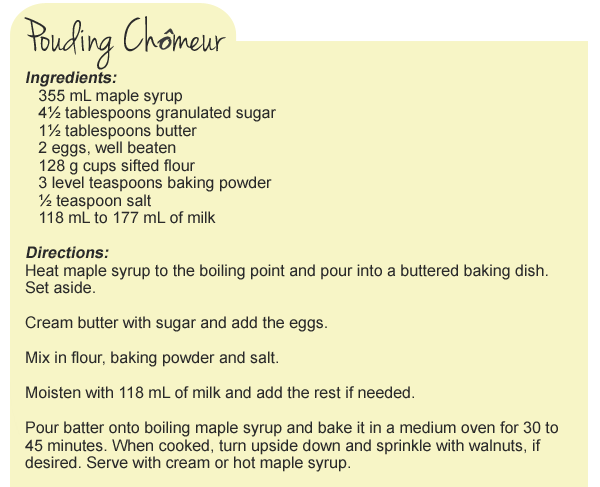 Here’s the recipe from the Canadian Encyclopedia. Hmmm, I’m getting hungry just putting this together. Obviously, our friends could use these recipes and prepare the homemade goodness of these treats themselves but there is something about a care package from home that makes it all the more special, especially when the package contains those elusive Cadbury chocolate bars, melty smooth Caramilk (how do they get the caramel inside those little pockets,) Coffee Crisp (these ones are truly Canadian and not even found in the U.K.,) and Mr. Big (although I hear they can be found in some areas of the U.S.) and, of course, a bag of crunchy, cheddary cheezies.